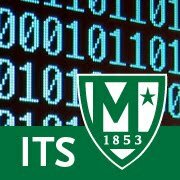 Manhattan College ITS is encouraging employees to begin to take some simple steps that will structure your documents so that they are more accessible. When creating documents, spreadsheets or presentations it is important to provide an organized structure to all your documents in a way that allows them to be accessible. Fortunately many word processing tools such as MS Word or Google Docs are advanced in the accessibility area and allows you to use features generally available within each tool. Last week’s focus was on creating accessible Google Docs. This week’s challenge we will focus on best practices, for creating accessible PDF's. The Adobe Portable Document Format (PDF) provides a convenient way to transport, view and print electronic documents. PDF files are typically created in other applications like MS Word and PowerPoint. They can also be produced by scanning the pages of a book or journal article. This week will focus on examining some of the features that make PDF documents more usable by a diverse audience. The information will also provide techniques for improving the accessibility of existing and new PDF documents. Note: This section refers to two Adobe software applications. Reader and Acrobat. Adobe Reader is a free application that is limited to viewing, searching and printing PDF files. Adobe Acrobat, by contrast, is a full-featured application that allows for the creation and editing of PDF documents. Straightforward PDF titles are key for achieving clarity in your content. The people are going to first need to find the document on your website. Align the title of the document with the type of information that is included in the PDF file. Ask yourself, what is the purpose of this file? What type of information would a customer need from this document? For example, if the document is a business loan application, then a good file title is quite simply Business Loan Application. Before discussing accessibility of PDF files, it is important to distinguish between Adobe, Acrobat and PDF. These items are often used interchangeably, but they are not the same. Adobe is company, they are the creators of Acrobat. The terms Adobe, Acrobat and PDF are related in the same way as Microsoft, Word and doc. PDF files are not typically created in Acrobat. They are usually created in another program and converted to PDF. There are dozens or probably hundreds of programs that can create PDF files, but very few of them produce tagged PDF files. If you are using Microsoft Word or PowerPoint, you can often create accessible, tagged PDF files without opening Acrobat. Of course, the accessibility of the PDF depends on the accessibility of the original document. The technical answer is this: Tags define the function and order of content in a document. Many PDF tags resemble their counterparts in HTML. For example, there is a <p> tag for paragraphs, <table> and <td> for tables and table cells, <h1> for level 1 headings, etc. Although they are normally invisible, tags provide valuable interpretive cues to assistive technology like screen reader software, and are therefore an essential part of PDF accessibility. Fortunately, tags are generated automatically during conversion from Microsoft Office applications using the “Adobe PDF” menu. The Adobe PDF menu is a part of Acrobat PDFMaker, an application added to Office applications when Acrobat is installed. Tags can also be added manually in Acrobat by choosing Advanced > Accessibility > Add Tags to Document. Once applied, tags can be edited to improve or customize document organization. Each PDF document contains a navigation pane called "Bookmarks." A bookmark is a type of link with representative text in the Bookmarks panel in the navigation pane. Each bookmark goes to a different view or page in the document. Bookmarks are generated automatically during PDF creation from the table-of-contents entries of documents created by most desktop publishing programs. These bookmarks are often tagged and can be used to make edits in the PDF. Bookmarks can be easily added and edited in Adobe Acrobat. It is best to create a PDF from an original electronic document. However, if scanning is the only method available, take care with the scanning process. Use a clean copy of the article and place it squarely on the scanner process. Use a clean copy of the article and place it squarely on the scanner Avoid pages that have been photocopied multiple times. Obtaining a clear image of the text is essential to the next step in the creation of an accessible PDF document: optical character recognition. To create a more versatile version of your scanned document, use OCR to convert the image of text to real, editable text. Many scanners offer a “copy as text” feature, which is useful for small blocks of text. Multipage documents can also be scanned and converted to text using OCR, with all of the text stored in a single file. Adobe Acrobat should bring up a prompt to run OCR when scanning a document, or the option can be chosen from the menu: Document > Recognize Text Using OCR > Start. Note that character recognition is not foolproof, and proofreading is always recommended after using OCR. OCR tools vary in quality and accuracy. The OCR engine built into Adobe Acrobat is adequate for most jobs. Also, the resolution of your scan may help determine the success of OCR. Setting the scanner to 300 dpi (dots per inch) usually yields good results, although occasionally a setting of 600 dpi may be required, especially when working with small type. Resolutions higher than 600 dpi produce larger files with no increase in OCR accuracy. select the Create PDF/XPS Document button. To convert a Word, Powerpoint, and Excel file as a PDF in Office for Mac select File > Save As and beside File Format you will specify PDF as the File Format that you would like to export to. When finished, select Export. Many people who have visual disabilities will use a screen reader to access the information in a PDF document. Therefore, it’s important to use readable language and steer away from acronyms, symbols or shortcuts. While a screen reader can read those, it may not be clear to the individual listening. After the document is found, the people will need to find the appropriate section within the document to fulfill their needs. Look beyond the title of the document and into the headings. Participants who complete all 5 weeks of the Digital Accessibility Challenge will be awarded a Credly Digital Badge in recognition of their effort, for more information review: ITS to Launch 5 Week Digital Accessibility Challenge.